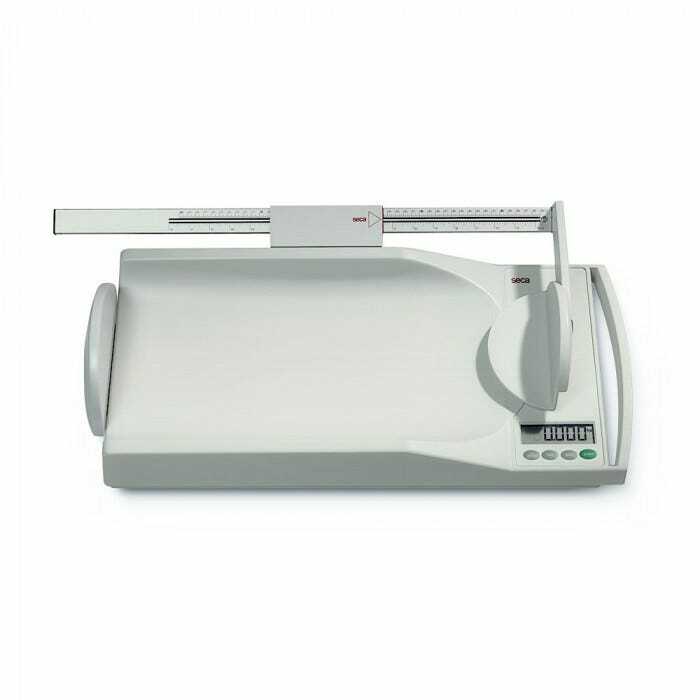 The Seca 334 Digital Baby Scale is an easy-to-transport mobile baby scale with special damping system. The weighing tray has a generous and comfortable design for babies and toddlers. The easy-to transport Seca 334 weighs only 6.2 lbs. and requires surprisingly little space. 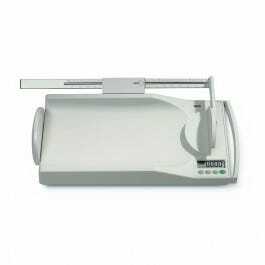 With the large, clear LCD figures and the practical carrying handle which can be used to hang the scale, makes daily weighing very easy. The Breast-Milk-Intake-Function shows the exact amount of milk the baby has consumed. Just as easy to fit as it is to read. This baby measuring rod with integrated head and foot positioner makes the Seca 334 even more efficient because now weighing and measuring can be done in one step.